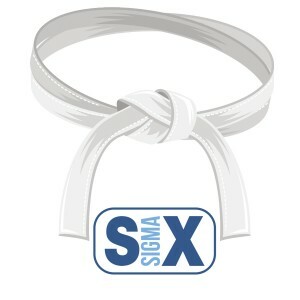 The Six Sigma White Belt training is an introduction to Six Sigma concepts. It provides an internationally recognized certification. Classroom courses start on Monday at 8:00 am through 5:00 pm. Webinar courses begin on Tuesday at 9am (Central). Students have the opportunity to continue onto the Yellow Belt, Green Belt, or the four week Black Belt. The reason that students are able to go into the other programs, is because the White Belt training is the first day of the Green Belt or four week Black Belt. There are no prerequisites for the White Belt training, and Minitab is not required for this class. Please view the brochure with agenda here. Students will have a basic understanding of the Six Sigma Methodology, which will include the roles within Six Sigma, as well as what makes a good Six Sigma project. Students will also have a basic understanding of how Six Sigma is deployed within an organization.